Time flies and in another hour or two more we will be stepping into 2015 which is a brand new year ahead. Although I don't blogged as regularly when compared to others peers due to my personal commitments but I do hope to maintain this website and keep up my blogging passion in coming new year. Here I would love to thank everyone for your supports in walking though the years with us. Thanks for reading our posts as well as trying /sharing the recipes. Below are some recaps for 2014 which I would love to share it with you again. My family is a big fan of eggs especially when they are prepared in either scrambled, boiled or fried. And recently we are in love with baked frittata which can be easily prepared by throwing in couple of root vegetables such as carrot, potato, onion and etc together with eggs and cheese before popping the mixture into the oven. Between you could also mix and match your favourite ingredients to make asparagus, potato and bacon or even chorizo/sausage frittata depending on your family preference. Here we have a meatless version by using garden vegetables that I sliced effortlessly with my Bosch kitchen machine (you could refer to the picture below). Arriving in the last month of the year meaning Christmas is around the corner where we could slow down our pace and spend some quality time with family and loved ones. Although this year we are away for a long vacation to USA in December but the atmosphere and urge for preparing festive dishes are still within us. So with this scheduled post we hope to share some quick fix festive dishes that can be easily done in 15 minutes so that you don't have to avoid restaurants or worry about preparing festive menus. With the blooming of food industries over the years, Singapore has also become a food paradise that brings in international cuisines from countries like America, France, Italy, Japanese, Korean and etc. 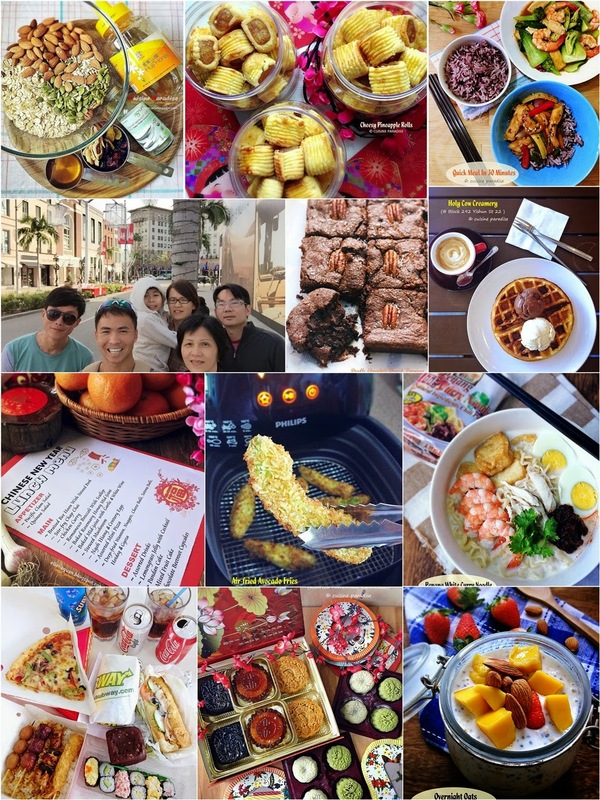 So beside our local food such as Chicken Rice, Char Kway Teow, Bak Chor Mee (minced meat noodles) and etc (read more here) we can also enjoy many other international food from high end to family oriented restaurants. Yeah! Finally after the stressful year end examination it’s time to sit back and enjoy the long 7 weeks school holiday. So now we would have more time to prepare and enjoy international breakfast (some breakfast ideas here) in the morning as well as getting into some bread making sessions with the boy because he loves to help up with shaping the dough. Furthermore bread making has become a breeze ever since I am using my new BOSCH MaxxiMUM stand mixer to prepare the dough. These days there are a lot of fusion cuisines blooming up with fresh ideas waiting to be discovered. And with the variety of ready-made sauces and marinades which available in most supermarkets also make it stress less to prepare International cuisines such as Moroccan Chicken, Thai Tom Yum Soup, Singapore Fried Noodles and etc. In this write-up I would like to thank WORDFOODS for organising such International Fusion Recipe Swap Challenge to try out their products and as well as sharing (guest post) our recipes with another “penpal” from the other part of the world (my “penpal” is Anita-Clare & Caro from Lover Of Flavours in the UK). Hi everyone, time flies and it’s mid-week again! If you are short on time to prepare weekday dinner after a hectic day at work, here are 7 express cooking recipe ideas for your reference. To speed up the cooking time you could even prepare some of the ingredients beforehand so in way you could save at least a good 10 minutes on cutting and preparation. Between our ideas of express cooking are still within the topic of preparing proper one-dish meal which includes meat and vegetables that is done in 30 minutes or less. I am sure most of you have eaten quick meal (as in choice of food) especially during weekday evening(s) when you need to work overtime till late hours or before catching up a movie date? But I am just curious what are the choices that would appeared in your list; could it sandwiches, fast food, local snacks, instant noodles or perhaps movie snacks like popcorn, hotdog bun or nacho chips? No matter what is your options I think anything that is fuss-free and easy to munch on would be a great choice. 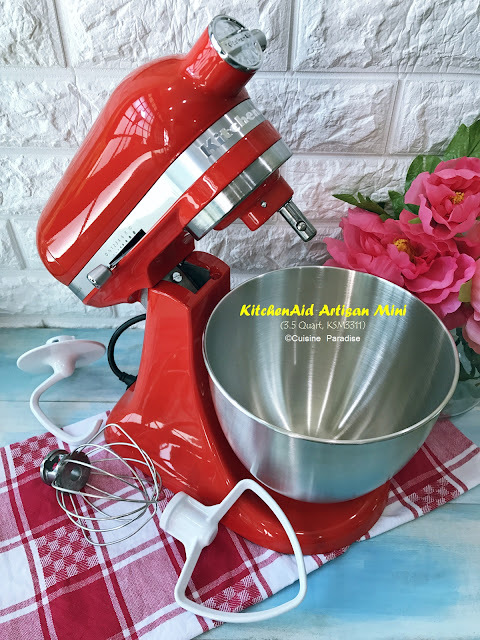 Every year during the month of October, we love to get our hands on some Fall Recipes such as "pumpkin" related bakes like Pumpkin Scones, Pumpkin Chiffon Cakes, Pumpkin Pie or some comfort casseroles for Halloween Party as well as Thanksgiving dinner. This October we are featuring two pumpkin related recipes over at Bake King recipe website which are Mini Apple Cheesecake (serve with salted caramel sauce) and Pumpkin Parmesan Scones. Have you ever tried making pizza at home where you could add in your favourite toppings like more cheese, ham, mushroom and etc. Or you just prefer to pick up the phone and dial for a home delivery to save the hassle on preparing the necessary ingredients or time spent in the kitchen. For our family, we prefer to make our own pizza at home because we love to work on the dough as well as the ingredients. Furthermore homemade pizza smells fantastic when they are baking in the oven and we after which we get to eat hot and fresh pizza with oozing cheese when compare to those home delivered pizza. Have you ever tried preparing a decent "3 dishes + 1 soup (三菜一汤)" meal within 30 minutes (excluding preparation of ingredients and marinating)? In this post I would be sharing some tips and recipes on how to cook-up four delicious home cook dishes and get them ready on the dining table within 30 minutes. Since this task is part of the criteria from Lee Kum Kee MOS Blogger Competition which I am taking part, I decided to put myself on a test to see whether am I able to complete the assigned task within the time frame. This week we will be sharing another fall related bake (more recipes here) using pumpkin to make Pumpkin Madeleine which is a fusion recipe between American and French. Since my family prefer lighter version without adding of too much of those usual spices like nutmeg, pumpkin pie spice, all spice and etc; I only toss in a decent amount of cinnamon powder to lift up the taste. I love Autumn especially with its comfort food like casseroles and pies which warns the body when the weather is getting cooler. And with pumpkin hogging the limelight in October, we would love to share some related recipes featuring this seasonal ingredients too. Between from the selection of pumpkins available, our favourite are the Blue and Butternut pumpkin. What about yours? Finally the wait is over because for those living in the North, especially Sembawang and Yishun, there is a new hipster cafe plus three creameries opening in these two areas. And with their convenient locations in the neighbourhood within schools, offices and residents, crowds will be coming in anytime of the day to chill up with friends or just enjoy a cup of coffee while reading a few good chapters in the afternoon. In this post I would be sharing our dining experience and reviews after visiting these cafes but since three of them are still pretty new I think a second or third visit would be great in order to justify their service and food. In celebration of Children's Day which falls on Friday, 03 October this year, I made a surprised Oreo Cheesecake for the boy as this is the only flavour of cheesecake that he loved. This cheesecake is slightly different from the usual creamy version with a lighter taste (adding some sour cream to tone down the strong cheesy flavour) and cotton soft texture which similar to the Japanese Baked Cheesecake (cow print cheesecake recipe) that I made earlier. No matter you are a new mother on confinement or just someone who wants to whip up some herbal dishes for the family to nourish the body. I am sure you have tried some of those pre-packed herbs, spices or even tonic drinks which are available in the stores. In this post I would be sharing a few ideas on how to prepare nourishing dishes with the help of Huiji Waist Tonic which could easily prepare for ourselves and kid(s) especially during exam period. If you are craving for some cheesecake perhaps you could try out this "light version" (less cheese + without using any oil) over the weekend. This cake has a light lemon fragrant with soft and moist texture that makes you probably go for second helpings without feeling too guilty. In the recent years, Granola has becomes a popular breakfast choice or snack food around the world. This healthy snack consists of rolled oats, nuts and honey which usually baked until crisp then add-on with dried fruits mixture. You can either have it on its own or combine with yogurt, honey and fresh fruits such as strawberries and bananas. Beside that soaking them in cold milk or use as topping for desserts like ice-cream or parfait are great ideas too. Honey Prawns are a popular Chinese takeaway / take out dish in most western countries such as Australia and United States. But do you actually this dish can be easily prepare at home with just a few basic ingredients that are available in your pantry? Moreover this delicious dish can also be serve as a party food or together with some steamed rice for quick week night 1-dish meal. Stressful workload and irregular meal hours many often lead to ingestion problems such as constant abdominal pain, constipation, diarrhoea or bloating due to skipping of meals or having it late. But besides that, don’t forget “overeat” is also another common factor among most people in Singapore especially when we are always surrounded by several temptations of food which acts as one of the main cause that put pressure on the digestive system. In recent years with the high raising living cost in Singapore, most of the food outlets had increase their food pricing in order to accommodate the overheads and expenses. So at time we do wonder are there still any pocket friendly meals to cater for those working in the Central District area such as Raffles, Marina area or etc. For example: Can you still grab a decent lunch for S$5.00 or you are willing to increase your budget with a few dollars higher and set them in air-conditioned food court, cafe or restaurants? In this post, let's look at a few budget friendly food centres in the central district area such as the newly revamped Lau Pa Sat, Hong Lim Food Centre and Chinatown Market which I am sure they sounds familiar to those who often patrons these places. After the first post of our Homemade Mooncake Recipes, here is the second part which features non-baked Jelly Mooncakes using agar agar powder (or you can replace it with konnyaku jelly powder) which makes into refreshing jelly dessert that resemble mooncake in a lighter version. Although making these jelly mooncake might seems a little time consuming due to the different layers of colour but when you get the hang of it, the steps are actually quite straightforward to follow too. Mid-Autumn Festival (中秋节) is just another two weeks from now. This year due to a mooncake project I made some variety of homemade mooncakes ranging from those traditional ones with lotus paste that are wrapped with melon seeds and salted egg to refreshing Jelly Mooncakes that are made using agar agar powder with flavour such as rose and lychee. Yeah finally it's mid-week meaning weekend is approaching in another two more days. Here we have a giveaway to perk up your week with some limited edition items. 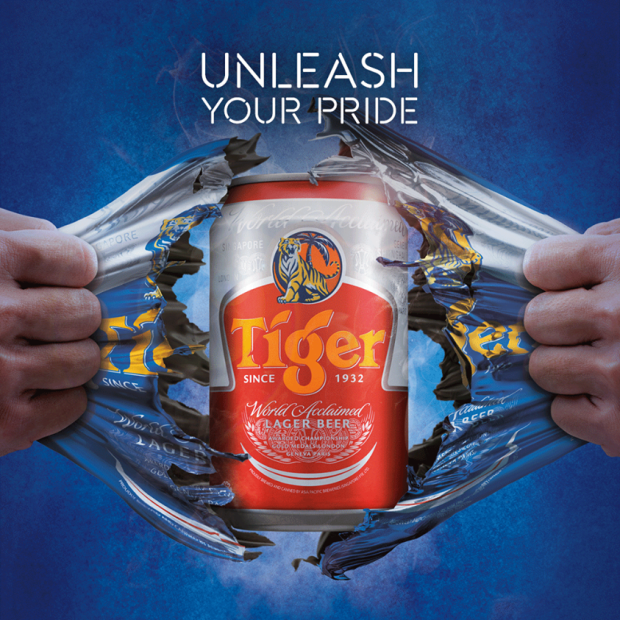 This year to celebrate Singapore 49th National Birthday, Tiger Beer has unveiled this limited edition Tiger Beer can with red and white outfit instead of its usual blue. Recently, The Laughing Cow is running its Travel Around the World campaign for all the Laughing Cow's loyal supporters and cheese lovers in Singapore. From now till 07 October 2014, with every purchase of The Laughing Cow 8 Portion Cheese customers will receive exclusive sticker collectibles with iconic landmarks in six different countries: France, England, Egypt, Italy, Mexico, and USA. In addition to that, customers also stand a chance to win limited edition The Laughing Cow toasters and strollers plus eligible for the luck draw with grand prize; a trip to Paris for two. Happy 49th Birthday Singapore! This year lady luck is with us because I was fortunate to win four National Day Parade (NDP 2014) tickets through the balloting. We were very contented even though it was only the preview tickets on 02 August 2014 and furthermore it was also our very first time attending the National Day Parade. And we waited eagerly for the big day ever since we collected the tickets a month before hand. Most of us who loves Thai cuisine are usually fans of spicy and sour food. And in Thailand, Tom Yum Talay (hot and spicy seafood soup) is known for its health benefits and is often equivalent to the chicken noodle soup which we used to have it when we are not feeling well. Moreover this delicious one pot soup is also pretty easy to make once you have all the necessary ingredients. In this post, I would be sharing 3 common homecook Thai dishes which you can easily prepare them at home with ingredients that are available from leading supermarkets or Thai grocery stalls. Today, 28 July 2014 is a public holiday in Singapore where the Muslim celebrates Hari Raya Aidilfitri. Hari Raya literally means ‘celebration day’ whereas Hari Raya Aidilfitri is the day that marks the end of Ramadan in the Islamic holy month of dawn-to-sunset fasting. For us we are fortunate to have Malay neighbour who always share their lovely bakes and dishes with us and every year during Hari Raya we are also blessed with delicious treats too. Recently I am in love with two health-giving fruits which are Avocado and Lemon because I use them to prepare my daily "must have" beverages such as Avocado Milkshake/Smoothie and Honey Lemonade. With my new found love, I also decided to venture into more recipes by including them as one of the key ingredients. Therefore I hope the 3 avocado recipes (2 recipes using Philips Airfryer) shown below would be useful to add into your existing methods of consuming this super fruit. About two weeks ago, I received a media gift set from World Kitchen on their latest 3-in-1 Corelle Snapware dinnerware and bakeware which enable consumers to bake, serve and store. With these new products extra food from table can go straight into the fridge or freezer on the go without the hassle to transfer them to another storage container. As a Singaporean like many others out there who loves food we are also willing to travel from North to South or East to West just to enjoy our favourite hawker dishes. And despite the heat and smoky environment from its non-air conditional environment we are happy to soak ourselves in the aroma of chicken rice, char kway teow, BBQ chicken wings and etc that floats in the air. Out of sudden there are so many new cafes booming around different area of Singapore since last two years. And with the power of social media and food recommendation sites, you can easily pick up new cafes to try out their brews and food. In this post I would be sharing my experience on the 5 cafes which I have conquered during my "off time" with a new coffee kaki (friend); Eileen who has good knowledge in beans and brews. Whipping up healthier meals by reducing (or omit) the amount of salt, sugar and oil intake makes it a better diet for everyone in the family. And being the main cook for the family I always try my best to prepare their favourite food with a twist to safeguard our body functions. Example, using coconut or olive oil for in our dish or bake; incorporate more fibres, greens, proteins and fresh fruits in our daily diet plus always source for "fresh ingredients" to prepare our meals. S.E.A Aquarium at Resorts World Sentosa, Singapore. Since this is the last week of June School Holidays, I decided to bring the boy to the newly open Trick Eye Museum which is located in Resorts World Sentosa (RWS). And while looking through RWS website, I happen to see one of their bundle package which includes Trick Eye with either S.E.A Aquarium or Adventure Cove Waterpark at a promotional price of SG$48.00 per adult for 2 attractions. So without hesitate, I make the booking online and we went on the next day. Today post is an impromptu recipe on our dinner which we all loves. And I am sure even for those of you who are in overseas countries like United States, Canada or Australia this Asia Chow Mein is something that you are familiar with from any of their Chinese dine-in or takeaway restaurants. Between below is our version of Asian-style Chow Mein (fried egg noodle - 鸡蛋面) using ingredients such as BBQ pork (char siew), fishcake, veggies and egg. The egg chow mein comes in either fresh or dry packaging and you can easily find it in local supermarket. But sometime for convenience purpose, instant noodles (noodles itself without any of the seasonings) can also be used as a replacement too. Double Chocolate Chunk Brownie with moist and rich texture! Morning, it's Monday again! As promised for today's "Weekly Meal Planner" column we will be featuring some cafe-style inspired breakfasts such as scrambled egg, french toast, overnight oats and etc. And I hope with the step-by-step recipes plus some photos of our daily breakfast it could help to inspire your creativity to create your very own hearty breakfast for your loved ones too. There are times when we just don't feel like cooking in the kitchen especially during hot summer days where we could even sweat rapidly just by doing some simple ingredients preparation like cutting or chopping. In this post, I will be sharing 3 amazing hassle free recipes which you can get ready two of the seafood dish in less than 15 minutes . Or with a quick preparation of 10 minutes and off it goes into the oven for the rest of the baking time while you can relax at the couch enjoying your favourite drama. Beside the recipes, I would also like to share our views on some tasting beers that I received from the organizer of this year Beerfest Asia 2014 to go with the prepared dishes too. Hi peeps, time flies and we are into second weeks of June meaning half of the 2014 is almost ended. Today we shall continue with our "Weekly Meal Planner" column which hiatus for almost 2 months with the last entry two months back in April. I am sorry that I couldn't update it promptly here as promised because I was busy with my kid's mid-year exam plus my health was not really good over the weeks too. Back to the post, for WMP #4 I am compiling a few recipes of our week night dinners which I hope it would be useful in a way to help planning your cooking schedule. Most of the dishes featured this round are rather simple and fuss free like quick soup, omelette, stir-fry vegetables and etc. When comes to purchase daily fruits for my family sometime I would be rather selective with the available choices. And because in Singapore most of our fresh fruits are imported from overseas country like Australia, USA, China and etc so the price will be slightly higher too. For example a box of cherry (250g) might cost up to S$10++ depending on it's country of origin and this applies to berries as well. In fact for berries lovers like us, it can easily cost us SG$20++ just to get 4 boxes of assorted berries (blackberry, blueberry, strawberry or cherry) for our 2 days supply. But I guess for the sake of the multiple nutrition values and health benefits some money are meant to be spent in a away. In this post, I would like to share some information of our favourite berries and kiwifruits which are in season now. I am sure most of us loves Instant Noodles as it often helps to fill our hungry stomach in less than 10 minutes of preparation and we get to enjoy it during anytime of the day. Plus the best part of it is we get to add in whatever we like or find in the fridge too. Although I love to cook but there are also times when I just feel like having some comfort food which are easy to prepare too. But at certain points I am also quite particular with the brand of instant noodles, method of cooking as well as the accompany ingredients. So most of the time, I would just stock the few of our favourite brands which we have being eating for years. For the month of May, our baking collaboration with Bake King features two healthy tea cake recipes such as Chocolate Banana Kugelhop and Wholemeal Apple Tea Cake. These cakes are made with less sugar; without butter, oil or eggs which are great for those who are concern with their waistline or carbs intake. And most important these cakes are very easy to prepare and they are naturally sweeten using real fruits which are added into the cake. Time flies and weekend has almost come to the end with a few more hours to Monday. For me it has being a great week as I have finally catch up with two of my "cyber friends" whom we have know each other through blogging for many years and yet to meet up. Beside that, I am also lucky to visit Liberty Coffee during their "limited" opening hours which happens to fall on Thursday, 22 May between 10am - 4pm. Chinese Spinach which is also called Yin Choi in local dialect is one of our family favourite. This veggie has a smooth texture when cooked and you can either use it for stir-fry or soup. 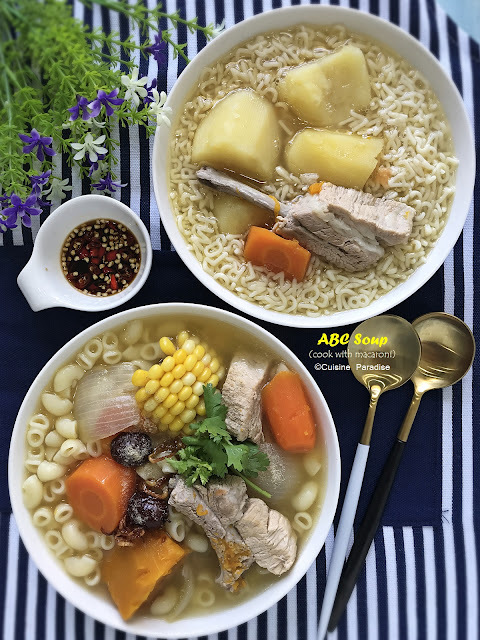 Here I would like to share a soupy version which is commonly found in most Chinese restaurants or cze char stalls in Singapore. This Chinese Spinach With Triple Eggs (consists of century, salted and regular eggs) is consider as a hearty dish with it's flavoursome broth that goes well with steamed rice. And for the preparation part you can either poached or stir-fry the Chinese Spinach according to personal preference. Depending on your purpose of visiting a cafe where some might just like to get a cup of coffee and enjoy quiet moment with 1 - 2 chapters from the book or flipping through your favourite magazine with sips of warm coffee. Whereas some might just fall for either cakes or pastry together with a cup of beverage to spend the afternoon. Last week, I managed to met up with a new friend who always patronize One Man Coffee which is located at 215R Upper Thomson Road. This cafe might not be easy to find although it is near the main road because the actually co-share the premises with Crust (sells Pizza in the evening) so you might tends to miss out the signboard. Frankly speaking before this I hardly eat or cook okra at home because I don't really like its sticky texture. But my view towards this edible green pod changed after Grace taught me how she prepares her signature Sambal Okra during one of her visit. And in this post, I would be sharing a few way to prepare this "super" vegetable which is high in fiber, rich in various minerals plus consuming Okra regularly can also helps to loose weight too. Hello everyone! Although today is Monday but due to the public holiday (Vesak Day in Singapore) tomorrow I guess it's still worth to look forward for some rest and gathering time. For brunch today, I cook the new MAGGI 2-Min Extra Spicy Curry Noodles together with some chicken drumsticks and potato which inspired from my aunt who always cook this dish using Maggi Curry Noodle. If you happen to visit the popular hawker center at Changi Village you might have seen this cafe that is located at a corner at one end of block 4 which is next to the open area car park. Chock Full Of Beans has a pretty nice interior with wooden furniture and brick tiles on the wall. Despite of the small in-door sitting area they also have alfresco area to cater for their evening or weekend crowds too. Like most people, I always thought that eating oatmeal is something boring and tasteless which often given to us when we are not feeling well. But recently after trying these "overnight oats" for two weeks it totally changed our perceptions about oats plus it definitely has transform our usual daily breakfast into something more appetizing and nutrition. And just to warn you these overnight oats are very addictive and you can hardly stop with just a bowl! Moreover they are also very versatile which you could create many different flavour out of it by adding a little bit of this and that. Below are three quick combination which we love and I hope they suits your taste buds too. Do you know that the original Penang White Curry Noodle is actually “white” in colour and served together with ingredients such as tau pok (beancurd puff), cockles, cuttlefish and beansprouts. On top of that, there is also an accompany chilli paste on each table where the customers can top up any amount accordingly to their preferences to flavour the overall taste of the noodles. So here is my version of Penang White Curry Noodle whipped up from the instant noodle pack which I bought recently.